Russia is the largest country on earth. For every travel lover, it is a dream destination. It is one of the most beautiful and important countries in history. With its rich cultural past and some of the greatest wonders of nature, Russia really stands out as a country. If you miss Russia in your in your world tour then you will miss a big time. There are numerous things that need to be looked at. Russia gives you a combination of both the beauty of nature as well as the beauty of man-made landmarks. Whether you like spending time in the mountains, or lakes or by going through history, you will find every aspect of indulgent that your soul craves. It is as exotic as one can imagine, even more in fact. So, let us talk about some of the major tourist spots of Russia. Situated in Moscow, the Saint Basil’s Cathedral is famous for its extraordinary architecture. There are eight churches surrounded by a central massive church. The cathedral is now a museum and attracts tourists from all over the world all year round. Its open for visitors from 11:00 am to 17:00 pm every day except Tuesday. The massive landmark was built in the year 1952. This one is located in the Saint Petersburg. 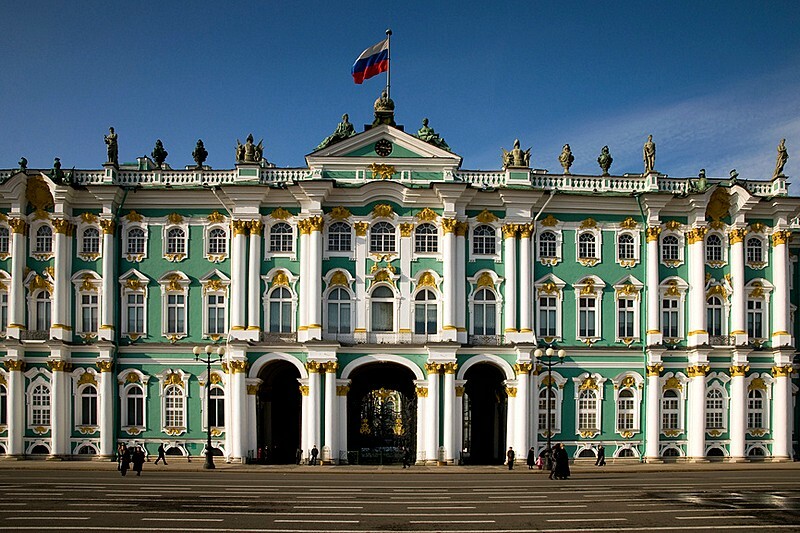 The second largest in the world and one of the greatest museums of Russia that houses some of the most primitive and magnificent works of art and culture. It was built in 1964. As far as its collection is concerned, only a few are kept on display. The museum consists of six buildings and you can wander through the artworks until you are lost. If you are a romantic and love history, this place is made for your soul feeding. One of the oldest cities of Russia that has been preserved over the years. This place houses some of the oldest buildings in the country, dating back to 1024. It is a living example of the cultural history of Russia. This town will take you right back in time. We all have read about this one in our geography books. Lake Baikal is one of the eminent wonders of nature. It’s the largest as well as the cleanest freshwater lakes of the world.it contains about 20% of the world’s fresh water. With multiple resorts around it, it makes a famous tourist spot and accommodation. It is also the oldest lake of the earth. Another element of wonder and astonishment. Hot waters spring emerging between mountains. As rare as it sounds, Valley of Geysers is the second largest geyser fields in the world and is situated in the Kamchatka peninsula. There are about ninety springs situated in this region. A lot of tourists stop here while their journey through Trans-Siberian railway. If you love nature, then you are ought to be mesmerised by this exotic place. This is just the tip of the iceberg. There are various other places that deserve a special mention like the city of Kremlin, Mount Elbruz, trans-Siberian railway and the list goes on. Kremlin itself houses some of the major monuments of Russia. A thorough tour to Russia will satisfy your soul and fill your heart with its rich culture and history. A nation as big it has much more to offer than what can be expressed in mere words. After all, travelling is all about the experience. To know how it is really like, you have to live the larger than life experience. Next article Russia Welcomes You with the Tastiest Cuisine Ever!